Discerning reality from delusion can be an impossible task for those suffering from psychosis brought on by mental illness. People in the mental health and criminal justice fields often say that people who have never experienced psychosis or seen individuals suffering from it don’t fully grasp how powerful and compelling these delusions and hallucinations can be – and how difficult they are to overcome without treatment. 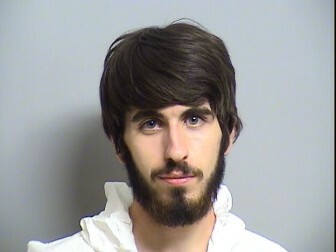 An example is the case of William Matthew Stick, 22, of Tulsa. On Thursday, Stick, who goes by Matt, was found not guilty by reason of insanity in the October 2012 death of his mother Veronica Stick. Under the verdict, he will be committed indefinitely at the Oklahoma Forensic Center in Vinita. Those who knew the Sticks said Matt and Veronica had a good relationship. She was supportive of him and there was a lack of conflict between the two, court records state. However, in the months leading up to Veronica’s death, Matt’s mental health had been deteriorating. He had been saying strange things and began to have delusions about time and experience visual and auditory hallucinations, court records show. He began to see shadowy figures, bugs and faces on objects and hear voices. In September 2012, Matt’s father, Michael Ray Stick, got his son to make an appointment for a psychological evaluation at the Cherokee Nation’s Claremore Indian Hospital, court records show. The earliest available date for an evaluation was in November that year, so Matt was put on a waiting list, court records show. By that time, Matt would be in jail and his mother would be dead. About a week before the homicide, Matt said he believed he could control information with his mind and communicate telepathically. He was becoming a new person named “Zeke,” Stick’s forensic psychological evaluation report states. On the afternoon of Oct. 5, 2012, an exterminator who had been scheduled to spray the Sticks’ house for insects found Stick’s mother Veronica lying dead on the sidewalk of the family’s home, court records state. She had been stabbed once in the chest. Matt was missing, but he was later found by police and arrested at All Souls Unitarian Church, where he and his mother worked. During a psychological evaluation performed while Matt was awaiting trial, he said he and his mother, who was on her lunch break, had been watching the television show “Revolution,” which is survivors in a post-apocalyptic world. Veronica had introduced Matt to the show, and Matt said he believed this was her way of warning him about a coming apocalypse. Matt said, after watching the show, he began to believe the world was ending and was being taken over by demons, the evaluation states. While his mother waited in the car for him to take her back to work, Matt went to his room and got a trench knife and brass knuckles, objects that resembled the design of the protagonist’s sword. The knife, he said, had the power to slay demons. Matt said he then saw his mother to the door. She was upset about possibly being late returning to work, court records state. Believing her to be possessed by a demon, he ran to the kitchen and hid behind the refrigerator, and while hiding there stabbed his mother in the chest, the report states. Matt then got in the car and left the house. He believed other drivers were demons, he said. He abandoned the car and began running but became lost, the report states. Believing he was on a spiritual journey to find his mother’s soul, Matt blacked out several times as he traveled on foot, but he did remember walking near a school, believing he was a guardian protecting the children, he told the psychologist. He eventually went to All Souls Unitarian Church, where he believed he would find his mother’s soul, the report states. “All Souls was where I’d meet my mom’s soul and All Souls was a refuge for souls in the apocalypse,” Matt told a psychologist. When he arrived at the church, he began talking to some of the other church employees, who would later say that Matt was not making sense and “sounded psychotic,” court records say. He had blood on his jeans. The employees spoke with Matt at the church until police arrived and arrested him. At least two separate psychologists who later evaluated Matt said he was unaware of what he was doing at the time and did not understand the consequences of his action. Two years later, Matt, who has received medication and treatment while awaiting trial, told one of the psychologists interviewing him that it was the first time he had been able to tell the story without breaking down. But then he became tearful. Thousands of Oklahomans with mental-health or substance-abuse problems are being turned away by state-funded treatment centers. The message: Get sicker, then come back.